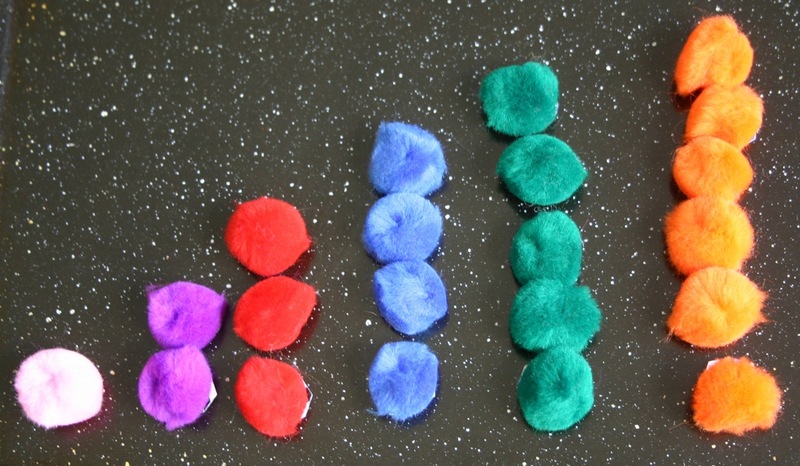 Magnetic pompoms are a great idea for table time, highchair time, mat time, while travelling with children or any other time you would like a quiet activity for your toddlers or preschoolers. 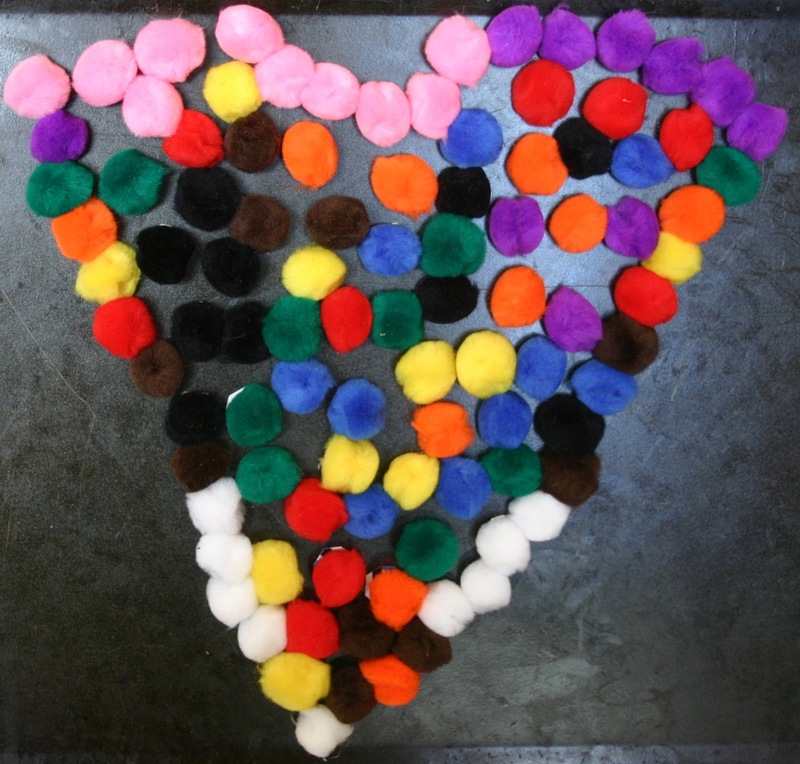 Simply buy your pompoms and hot glue gun magnets on the back. I used the free flexible strip fridge magnets that come in the mail on the back of advertising. 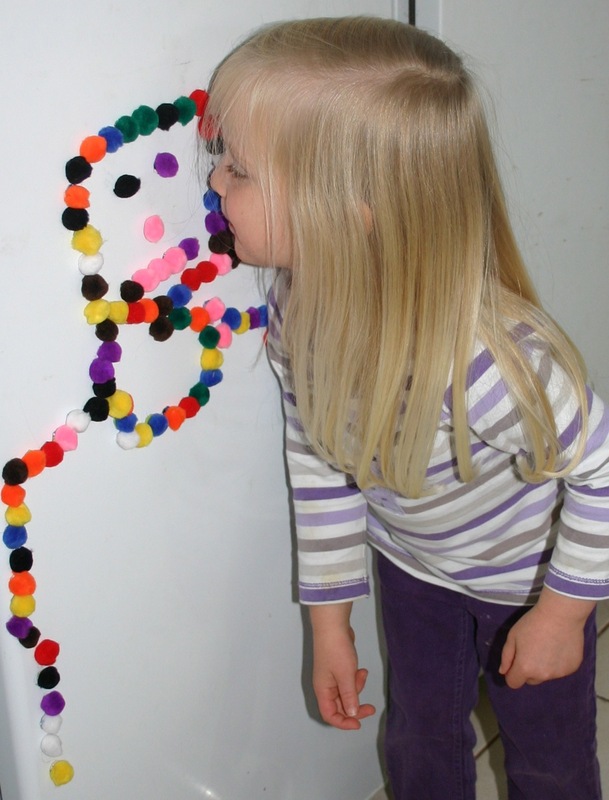 For a sit down activity, use a small magnetic whiteboard, biscuit or cookie tray or any other magnetic surface. They could easily be adapted for sorting by colours and/or counting or simply combined to make creative pictures on the fridge as my daughter is doing in these photos. My original plan was to use them with the multitude of “do-a-dot” pictures that can be found on the internet, so I printed out a stack and laminated them for durability. (These pictures have circles all over them that you can dot with bingo markers or stick on small stickers for a fine motor activity.) The fridge magnets however are not strong enough to hold the pompom on to the surface through the laminate so I am going to make a second set with stronger magnets for that purpose and leave these for free creating.